At the end of much speculation, the Ferrari FXX K has been revealed, the hard-edged, track-only version of the LaFerrari hypercar. The FXX K offers even more power than the street car it’s based on with an output of 1,021bhp. It will be put through its paces on the track next year, but only by the elite group of owner-drivers who will be carefully selected into the driver development programme by Ferrari itself. KERS energy plays a big part in this car’s performance and is the K in FXX K. The energy recovery system works in conjunction with the 6.3-litre V12 from the LaFerrari to help reach over 1,000bhp and 664lb ft of torque; this configuration sees the engine produce 835bhp and the electric motor 188bhp. The twelve-cylinder powertrain has been given new camshafts, a modified valve train, redesigned intake manifolds and the use of mechanical rather than hydraulic tappets, whilst the car’s exhausts have also been modified. Ferrari has also upgraded the HY-KERS system in order to give drivers the option of controlling power with four different modes on the Manettino controller. It is expected that with such figures, the FXX K should be able to complete a 0-62mph sprint in less than 3.0sec on its way to around 217mph, but Ferrari is yet to release any such performance data. Thanks to a dynamic and rather expressive bodykit, the FXX K measures 194mm longer and 59mm wider than the LaFerrari but shares the same 1,116mm height and 2,650mm wheelbase; however, there has been no word on whether the FXX K has dropped any weight from its donor car. Expanding on the FXX K’s exterior, just as with the FXX/Enzo, the bodykit looks like race-inspired evolution of the LaFerrari and features a twin-profile front spoiler and large splitter, with these working in tandem with larger sills running down the flanks of the FXX K that stops the car gathering air underneath. 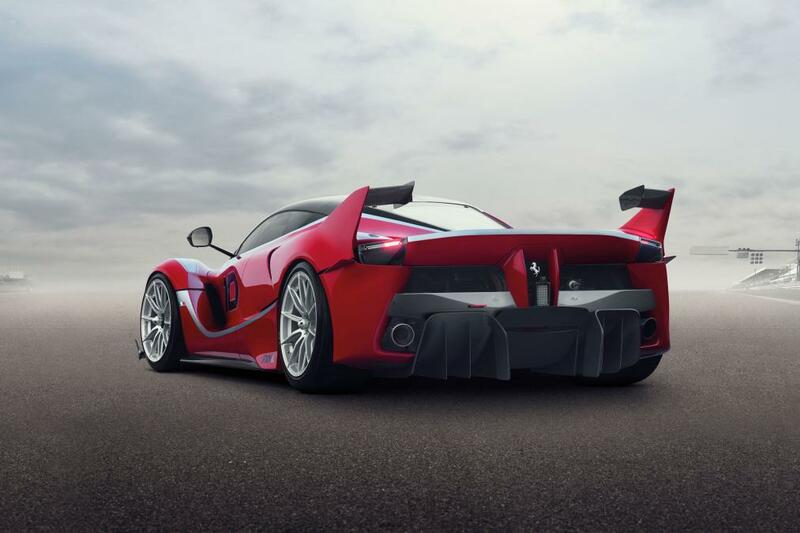 A large, twin-pronged permanent spoiler at the rear is coupled with a second which extends on the move to boost downforce and is aided by a new diffuser; the FXX K can produce 540kg of downforce at 124mph as a result. 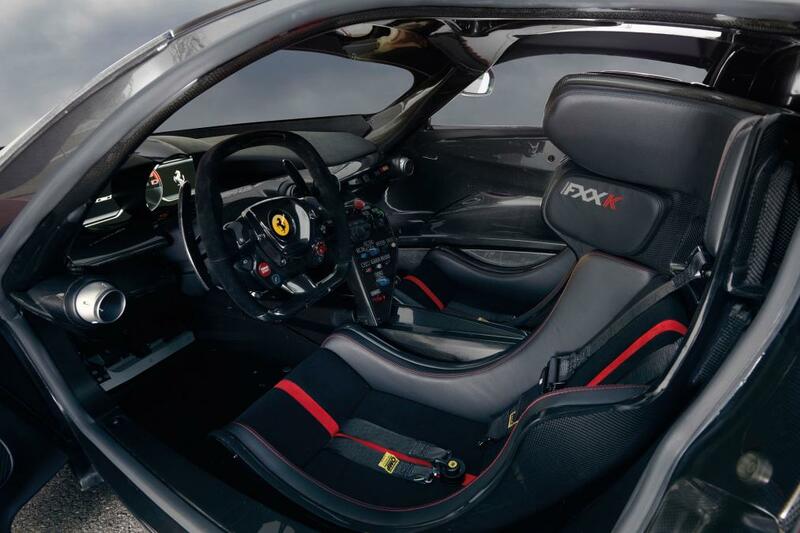 Inside, the FXX K’s interior is much barer than the LaFerrari’s, with most of the features within one digitised cluster, while race seats are in place to effectively hold the driver. Being track-only, the FXX K sits on specially made slick Pirelli P-Zero tyres which have numerous sensors to measure acceleration, temperature and pressure; carbon-ceramic brakes, meanwhile, are supplied by Brembo. In order to comply with the new rubber, the car’s traction control, Side Slip Angle Control and electronic differential have been specially configured. Also, unlike the LaFerrari’s double wishbone suspension set-up at the front and rear, the FXX K makes use of a multi-link rear arrangement. Ferrari says the FXX K isn’t homologated and therefore will never be used in competition, but that hasn’t stopped the Italian firm giving the race car a Qualify mode that provides maximum attack from the engine for a short number of laps and a Long Run mode optimises performance for longer stints on the track. A Manual Boost mode help deliver maximum torque and a Fast Charge option can be used to recharge the car’s battery. 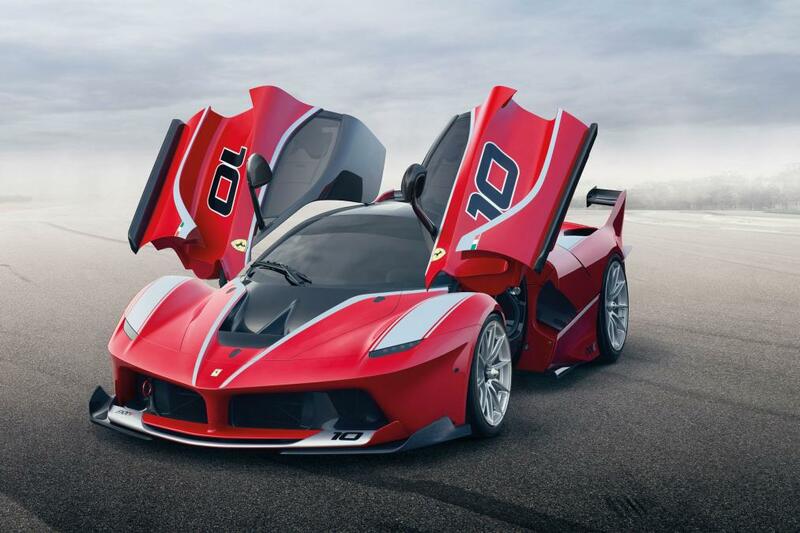 Anyone hoping to attain the FXX K will likely have to part with more than the £1.15 million those who bagged themselves a LaFerrari had to pay out, and it’s expected only those who were chosen for the initial car will be invited for the FXX K programme. 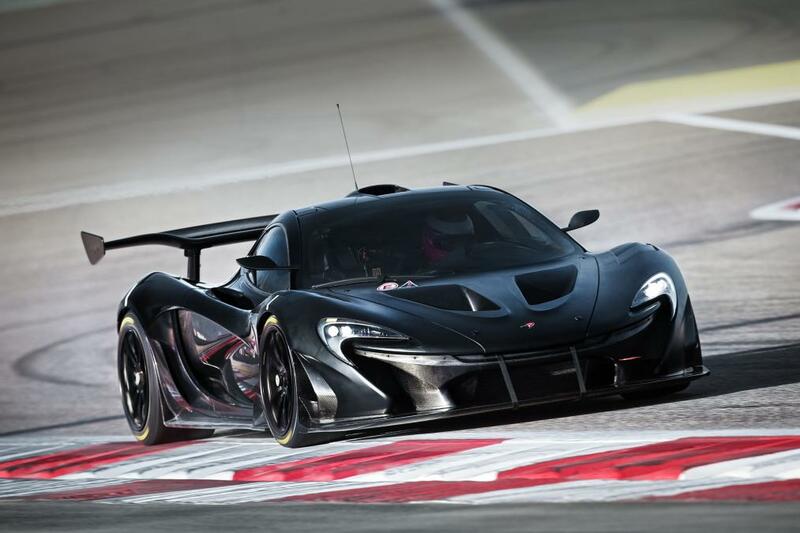 How does it compare to the McLaren P1 GTR? Well, the Ferrari beats the McLaren’s 986bhp that is developed through its modified 3.8-litre twin-turbocharged V8, but the British-made track car could beat the Italian in the corners thanks to its active aero parts, as well as a stunning amount of technology. The P1 GTR will be involved in a similar driver programme to that of the FXX K and will be tailored to each who purchase an example, with only current P1 owners eligible for GTR ownership at a cost of £1.98 million. It is probably next year, then, when we will see how these two shape up against each other when the duo are released to their owners and put through their paces on the track; but until then, it’s anyone’s game.